Social Media Advertising must be a priority in your online marketing efforts to widen your audience reach. Facebook is without a doubt your first choice when it comes to social media advertising. LinkedIn is another great platform for advertising through social media if you are a business to business (B2B) company. The targeting options of social media allow you to finetune your campaigns so you can reach the ideal target group. Before taking on your social media advertising project we determine what your SMO goals are. Do you want to reach a wider audience on social media such as Facebook, YouTube or Twitter? Boost posts to reach a wider audience? 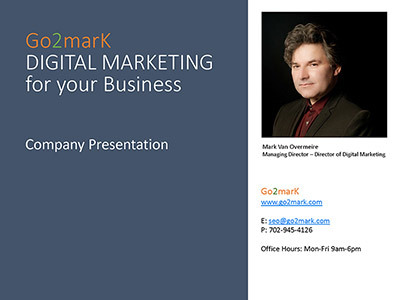 Go2marK creates and manages social media advertising campaigns on all important social media platforms. We ensure that your social media advertising goals can be reached.